When you join a new ship you cannot miss the words “SAFETY FIRST” that are stencilled in bold red letters on the bridge fronts. Ever wondered what these words refer to? Your safety manuals/books, safety courses and training on board will tell you enough to stay out of trouble when engaged in critical operations or routine maintenance and watch keeping. Yet there are several unknown factors lurking behind the smoke screen that you are unaware of, and which after a couple of years during the fag end of your career, shock you with dreadful symptoms. There are a few shipping companies who really care about the long term effects of prolonged working on board ships. They provide their crew with the right material and training to protect them from the harmful hazards. However, a very large number of shipping companies still intentionally or unintentionally ignore these hazards. The ultimate victim, who is the seafarer, in the course of changing several companies in his sea career, does not know whom to blame or seek compensation from when the illness strikes him in the later years of his life. The following paragraphs provide a general overview of these hazards to help seafarers deal with them in a timely manner and stay healthy throughout their life. a) Tennis elbow : Usually caused due to repetitive arm, elbow, wrist, and hand movements, especially while tightly gripping something. Possible victims on board are maintenance crew and engineers. If suitable precautions are not taken and resulting effects not diagnosed in time, they can lead to a very painful condition in later life, possibly requiring surgery. For details on Tennis elbow refer here. b) Carpel Tunnel Syndrome : Usually caused due to heavy manual work or working with vibrating tools such as chipping machines, drills and grinders. Symptoms are intermittent numbness of the thumb, index, long and radial half of the ring finger. For more details on Carpel Tunnel Syndrome refer here. c) Tendinitis: A stage after tennis elbow if initial symptoms are ignored. d) Golfer’s elbow: Several activities on board such as painting, raking, hammering, chopping wood, using a computer, doing assembly-line work and cooking can cause this problem. Those crew members, who repeatedly carry out the above mentioned activities, are mainly affected by this. If the issue is ignored in the initial few years, it can lead to serious health problems. e) Repetitive strain injury : Most commonly seen in computer users. Since most ships are equipped with computers and now with the growing trend of providing internet and email facility to the crew (Not to forget the inevitable paperwork), a large number of ship’s crew can easily become a victim of this ailment. Factors like position of your chair, distance from the monitor, design of your entire workstation, your posture while typing, lighting conditions, inadequate rest between prolonged use of computers etc. can contribute to this ailment. I will recommend this resource for comprehensive literature and better understanding of this ailment. Sometime back when after completing my E/R rounds, I walked in the Engine Control Room during the tea time and saw the Chief engineer without his ear protection gear. I sarcastically told his subordinate engineers that he had better listening powers for all these years, even though he never wore ear protection, as compared to the youngsters who were more health conscious. Later during our monthly safety meeting, I discovered that encouraged by the stance taken by the Chief Engineer, several E/R staff removed their ear protection gear while working in the highly noise polluted areas. This may be an isolated incidence or maybe not. But how many of you take a regular hearing test before joining a ship? In some companies it is mandatory to have one while others simply ignore it. The longer effects of exposing oneself to noisy conditions may prove disastrous later in your career and become a strong point for declaring you unfit for sea. The sound in measured in decibels(db) and a normal day to day conversation noise range is 40-60 db, whereas audible limit is 80 db. Over 80 db you are in a noise polluted area and should wear your ear protection gear. Usually ships do not have noise pollution measurement kits on board and we always estimate the tolerable limit when sound in our immediate surrounding does not stress us, annoy us, or cause headaches. It is assumed that E/R is the sole source of noise pollution and rarely do the deck crew and officers feel the need of an ear protection kit. What about noises from pump rooms with ballast and cargo pumps running, fore peak and after peak stores with high velocity exhaust fans, steering gear room and AC machinery room with constant noise emanating machineries? How about using ear protection when using sound emanating portable machines like grinders, drills, chipping hammers etc. Even on ships such as vegetable oil carriers, crew consider it extremely cumbersome to wear ear protection gear in the vicinity of Framo pumps during squeezing operation. The list can go on but it is essential to recognize the need to preserve your hearing qualities on board ships and that is only possible if noise pollution becomes a topic of discussion in each safety meeting and ship managers don’t just look at costs before buying expensive noise measuring kits for the crew. Since fresh food cannot be procured every few days, ship staff has to rely on preserved frozen and canned food. Every ship stores dry provisions for 2-3 months and a large portion of this stock is canned food. It has been established that to preserve food in cans, a higher than normal amount of salt containing sodium is used, which imbalances the sodium-potassium ratio in the body. A high sodium content is responsible for increasing the blood pressure of the body and inducing heart attacks. A compound Bisphenol-a is also used in cans to prevent them from rusting and keeping the food fresh. However, research has revealed that this compound eventually finds its way into the food that you consume from these cans and its presence in the bod is linked to diabetes, cancer, infertility and obesity. There is no easy solution to this problem and shipmasters should procure their canned foods from reliable suppliers and check for harmful chemicals printed on the labels. Seafarers should also reduce the intake of salt in their food on board. Canned sweets may seem like a piece of heaven when served on board but test results speak otherwise of the presence of more than normal content of sweet syrup and micro organisms. 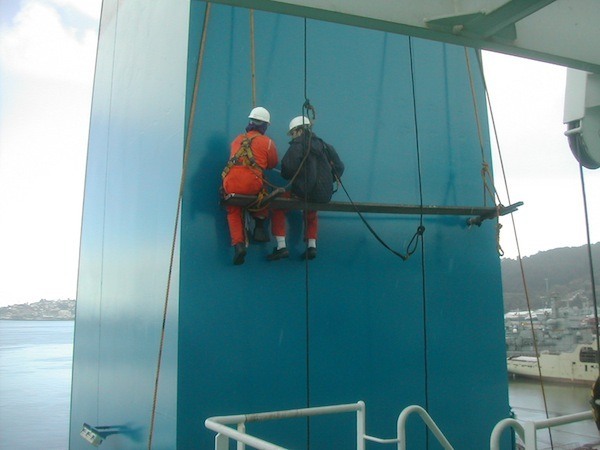 There are several other health hazards on board ships which are usually ignored by seafarers. In the long run, they can become serious health issues if proper precautions and measures are not taken. Do you know about any other health hazards on board ships? Let us know about them.